Combustible Ice – New Fuel’s Extraction by China and Japan - Word Matters! Hydrated form of methane, nicked “combustible ice”, is the new fuel world’s big economies are setting their eyes on. Both China and Japan recently reported digging hydrated methane off shores of their territories. Found widely beneath ocean floor and in frozen zones of Arctic and Antarctic, the combustible ice’s extraction can set off a new race for global fuel business. 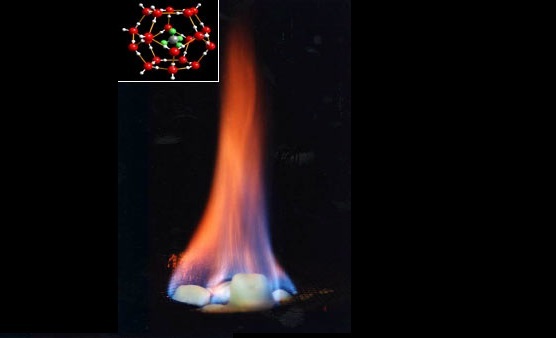 Being highly combustible, the extraction process of methane hydrate has to meet high safety standards and getting it straight from beneath the seafloor safely comes with cost, not to mention the environmental concerns over its carbon emissions. News have it that commercial ice won’t go into commercial production until around 2030.